A new state-of-the-art bike helmet has been designed to give bike enthusiasts a safe and seamless cycling experience while on the road. 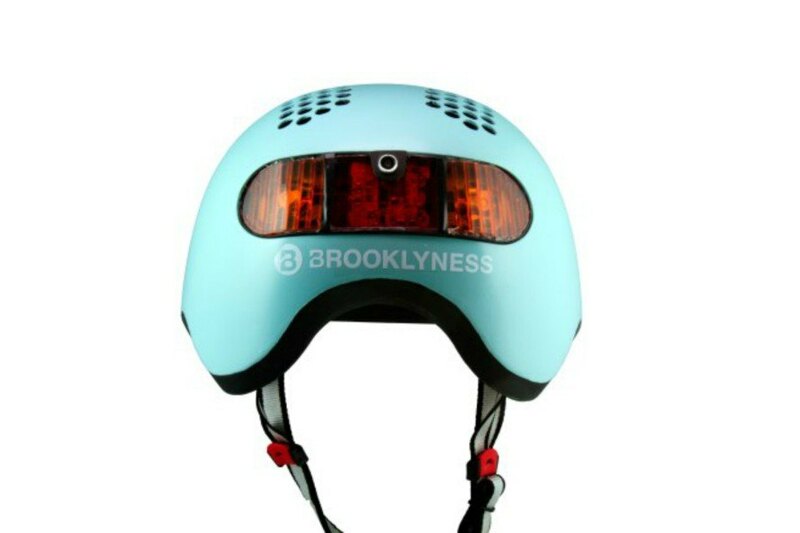 Created by urban mobility company, Brooklyness, the Classon is an intelligent and intuitive helmet that helps cyclists safely navigate in traffic while also increasing their visibility to other vehicles. The helmet has a number of safety features that aim to make cyclists aware of their environment without taking away the enjoyment of the ride. Cameras in the front and back of the helmet constantly scan the rider’s immediate environment. This info is immediately interpreted by an algorithm and communicated to the cyclist, letting them know when a vehicle is approaching in their blind spot. Intuitive turn signals in the front and back are activated by arm movement and blink to let surrounding vehicles know of their intentions to turn. Additionally resourceful is an adjustable light in the helmet that automatically turns on when reducing speed. 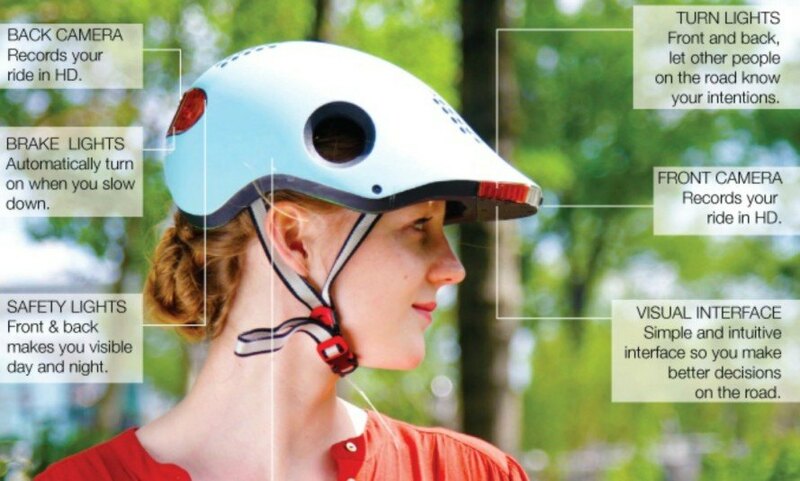 The helmet’s Kickstarter campaign, which recently ended, exceeded the company’s goal by over 400 percent, demonstrating that bicyclists need and want safer, smarter gear. 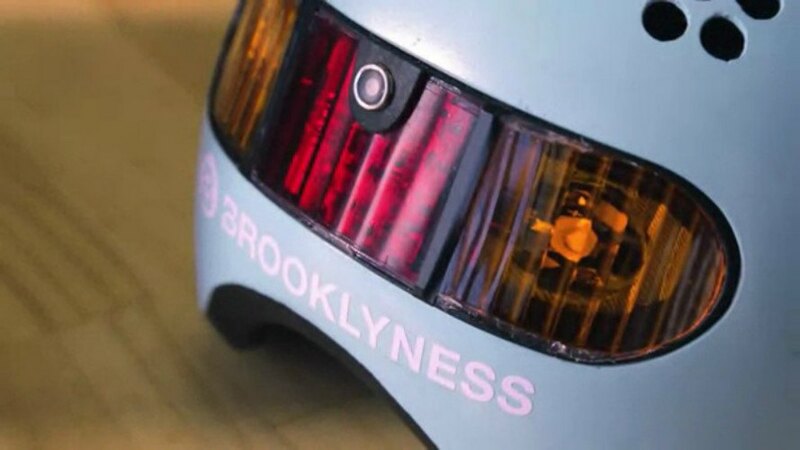 Created by Brooklyn-based Brooklyness, the helmet is designed to give the ultimate amount of safety resources to bike riders while on the road. Cameras in the front and back of the helmet scan the rider's immediate environment. Intuitive turn signals in the front and back are activated by arm movement and blink to let surrounding vehicles know of their intentions to turn. Information is immediately interpreted by an algorithm and communicated to the bicyclist, letting them know when a car is approaching in their blind spot, either to the side or from behind. The Classon Helmet design gives bicyclists more visibility on the road.